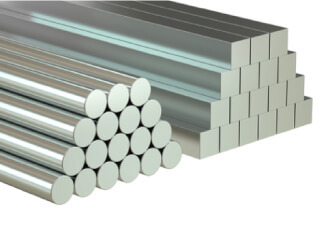 Aluminum rounds are excellent due to their corrosion resistance and workability. This light yet strong material has a wide range of applications for outdoor projects which are exposed to the elements. Aluminum round bars are perfect in application for outdoor projects due to the corrosion resistance that aluminum offers as a material. Reliable structures that are light yet strong can be created using these aluminum bars. Frames can be erected easily and effectively and with much more ease than other heavier materials. Fencing posts can also be fortified using aluminum rounds to further increase their structural integrity. The high strength of aluminium combined with its low weight makes it a fantastic material to consider on a vast variety of builds and projects. Our aluminium squares are perfect for outdoor projects due to their corrosion resistance and aesthetic appeal. 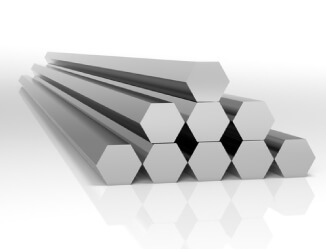 Aluminium square bars have a variety of uses utilising the strengths of aluminium as a metal. They are a perfect implementation within fencing due to the fact that aluminium resists corrosion and is also extremely light as a material. This lightness allows for an increased ease of building whilst using this particular material. Frame construction is also possible using our aluminium square bars due to the fact that aluminium is an aesthetically appealing metal whilst combining all of these useful advantages. Aluminium is a light material that resists corrosion. Our Aluminium hexagon bars are perfect in outdoor projects due to these properties. Aluminium is a versatile material that is also 100% recyclable, making it a great consideration for any project. The corrosion resistance that aluminium has to offer makes it an extremely viable material to use within outdoor projects. Aluminium hexagonal bars can be implemented within fencing to strengthen the design and resisting corrosion in the process. Frames can also be strengthened by using this material and semi-permanent structures can be created using aluminium due to the fact that it is recyclable.